To be a world-class botanic garden that is community oriented, educational, experiential and sustainable. To improve the lives of people and foster environmental stewardship through horticulture. The Gardens on Spring Creek was first envisioned in 1986 but the first critical step in our development did not come until 1995, when our founding non-profit group successfully convinced the Fort Collins city council to initiate a city-funded community horticulture program. The positive results of that program's dozens of gardens and gardening projects were then used as a springboard to secure the endorsement of voters in a 1997 municipal election, resulting in three million dollars in city funding to build the Gardens on Spring Creek. Ground was finally broken on the Visitors Center in 2004 and The Gardens officially opened their doors to the public. The first garden, The Children's Garden, opened in 2006 and was followed by the Garden of Eatin' and Wetland Demonstration Site in 2009, and the Rock Garden in 2010. 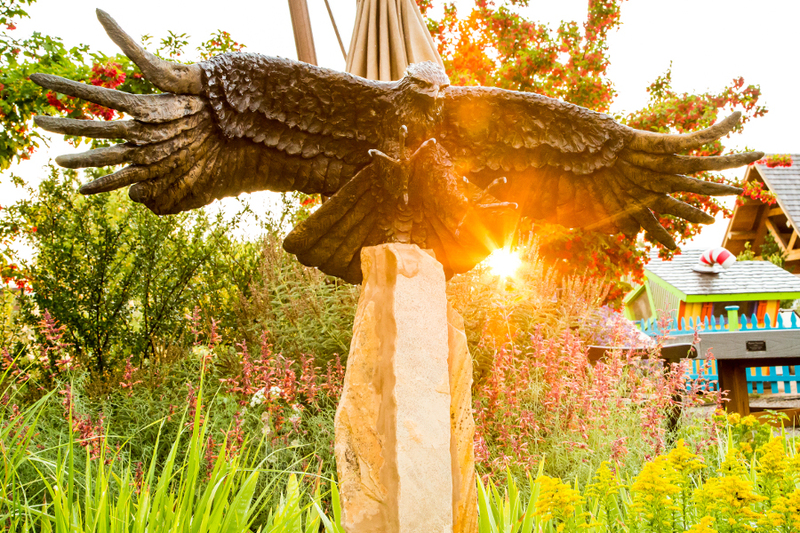 Funds are currently being raised for future gardens: The Great Lawn, The Undaunted Garden, and two naturalistic gardens--the Prairie Garden and Foothills Garden.